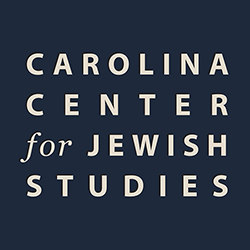 Each semester, the Center hosts informal lunch seminars to discuss academic topics related to the field of Jewish Studies. The lunch seminars are for Carolina’s faculty and graduate students, and interested undergraduates. Reservations are required as lunch will be provided. Reading materials are often sent in advance of the lunch seminar. Lunch will be provided so reservations are required. Use the form below. Lunch seminars are held at the Center in Pettigrew Hall, first floor. Lunchtime seminar with David Biale, UC Davis. Organized by the Center’s Graduate Student Network. Lunchtime seminar with Jane S. Gabin on her new book The Paris Photo: Jews in the French Capital during the Nazi Occupation. Jane Gabin will discuss what led her to do the research, and the work she undertook to glean the details she uses in one chapter: a study of the Germans’ various decrees in Paris, newspapers records and photos, the journal of Rabbi Nadich, and her own visit to the synagogue on the Rue de la Victoire. Jane S. Gabin earned her PhD in English at UNC-Chapel Hill, where she also worked for ten years in the office of admissions. She also worked for many years as a college counselor in NYC, most recently at the UN International School, while simultaneously pursuing independent research and presenting papers at academic conferences in the US, Canada, the UK, and France. She is a member of the Victorian Society and the Alliance Francaise. Lunchtime seminar with Jörg Robert: A Father of a New Time: Reuchlin, the Jews, and the Reformation. Jörg Robert is professor of early modern German literature at the University of Tübingen.